Precisely observed nature poems that jibe with McClure’s pastoral haiku intentions. 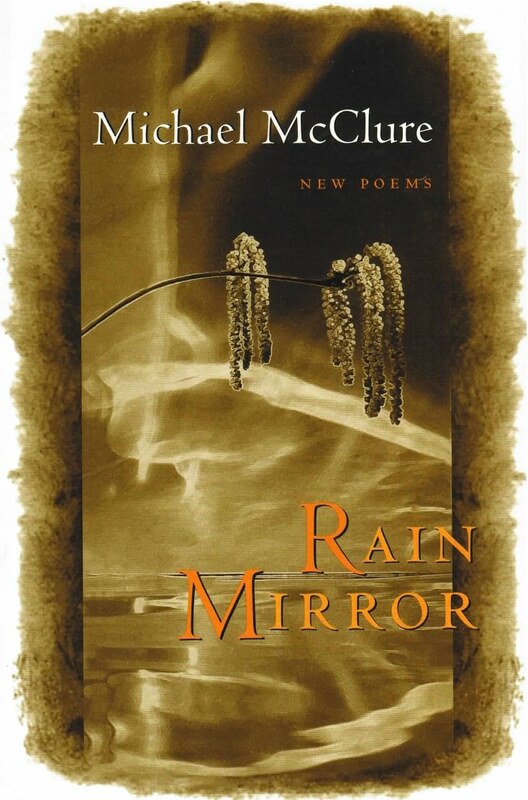 “Rain Mirror,” writes Michael McClure, “stands as my most bare and forthright book. It contains two long poems, ’Haiku Edge’ and ’Crisis Blossom,’ which are quite disparate from one another.” Together, the poems complement each other as do light and dark. “Haiku Edge” is a poem of linked haiku, often humorous, sometimes harsh, and always elegant. “Crisis Blossom,” in contrast, is a long poem in three parts that records the author’s “state of psyche, capillaries, muscles, fears, boldnesses, and hungers down where they exist without management,” and the months of shock and recovery during a psychophysical meltdown.